On September 11 in 2018, a Queensland mother Angela Stevenson reported that her son (9), ended up with a needle in his mouth after taking strawberries to school. And she almost fed another berry that had a needle in it to her 12-month-old baby. Consumer Hoani Hearne (21) swallowed half a needle biting into a contaminated strawberry purchased from a Woolworths store north of Brisbane. He suffered severe abdominal pain and was treated at Sunshine Coast University Hospital. Other consumers, Koby-Rose and Mason also reported being victims of the strawberry needle sabotage. 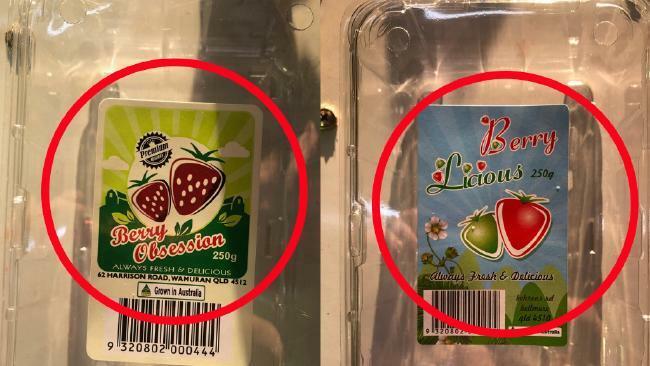 The sabotage was traced back to the strawberry growing region north of Brisbane at farms selling ‘Berry Obsession‘ and ‘Berrylicious‘ branded punnets of strawberries into Queensland, New South Wales and Victoria. Police began investigating from September 12 in 2018 when sewing needles were found in the strawberries. A further 230 reports nationwide impacted 68 strawberry brands. Forty-nine brands were Queensland-based. In Queensland, 77 incidents were reported. Of those, 15 were believed to be a hoax or a false complaint. The horticultural industry has since lost its annual crop and millions of dollars in sales. Hundreds of seasonal workers have been put off. Australian farmers expecting to pay 457-visa peanuts, well get Third World monkeys, like Vietnamese import My Ut Trinh (50) (her real name) but employed as ‘Judy’. 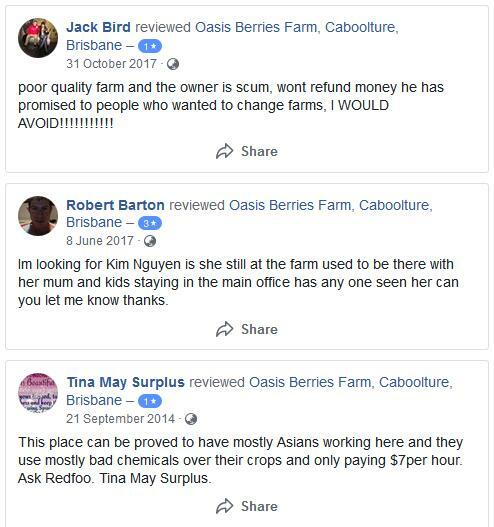 Ethnic farm labour hire operator in south-east Queensland, My Ut Trinh, was arrested two months later on Sunday November 11 in 2018 and charged with seven counts contamination of goods, but not with horticultural industry sabotage, nor terrorism, nor attempted manslaughter. 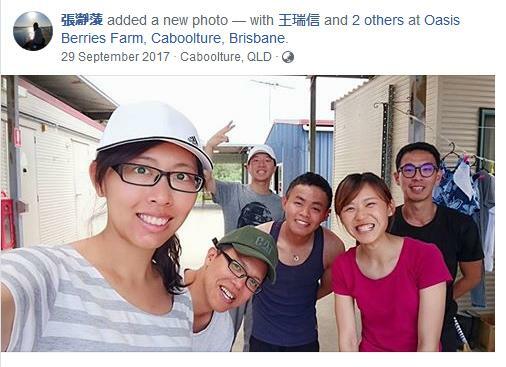 The media falsely reported that Trinh was a disgruntled employed packing supervisor of a strawberry farm at at 452-454 Old Toorbul Point Road in Caboolture – the one packaging its strawberry punnets branded as ‘Berry Licious’ and ‘Berry Obsession’. 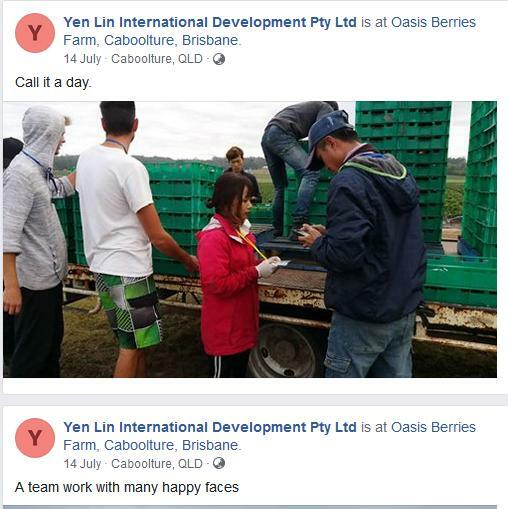 Turns out My Ut Trinh has operated her Wamuran based labour hire company, Yen Lin International Development Pty Ltd, north of Brisbane providing slave labour (Third World migrants) from south-east Asia to various strawberry farms in the area – predominantly to the Oasis Berries Farm, registered as Diamond Berries Pty Ltd.
Police arrested My Ut Trinh, a Vietnamese refugee at a property in Forest Lake on November 12. She has been charged with seven counts of contamination of goods which carries a three-year maximum penalty, although authorities will allege the woman’s offences were aggravated, making the maximum penalty 10 years in jail if she is convicted. 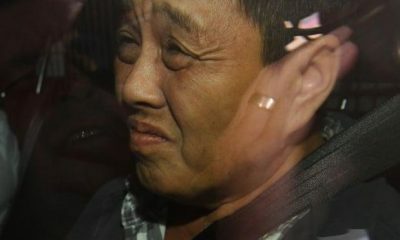 The Brisbane Magistrates Court has since heard that Trinh was “motivated by spite or revenge” and planned the sabotage over several months to get back at her client, Kevin Tran, a Chinese contractor at the Oasis Berries Farm at Wamuran. The media frenzy reckoned 10 years prison. PM Scomo came out at the time frothing to upgrade the 10 years to 15. Queensland Police offered a $100,000 reward for information leading to the arrest of the strawberry spiker, but failed to pay up. Trihn will likely get off for reasons of minority ethnic disadvantage – being a refugee. So two Third World ethnics had a dummy spit and caused tonnes of strawberries to be destroyed and fruit growers across Australia lost millions. At least six brands of strawberries – Donnybrook Berries, Love Berry, Delightful Strawberries, Oasis, Berry Obsession and Berry Licious, were recalled and several chain supermarkets pulled all strawberries from their shelves. Australian farmers are forced to save pennies in order to compete on LibLab globalists’ level playing field with Third Worlder import dumpers. Australian Farmers are resorting to, well using cheap Third World slave labour. A level playing field? Australian farmers habitually vote Liberal-Gnats who support and encourage Australian free trade with Third World dumping. 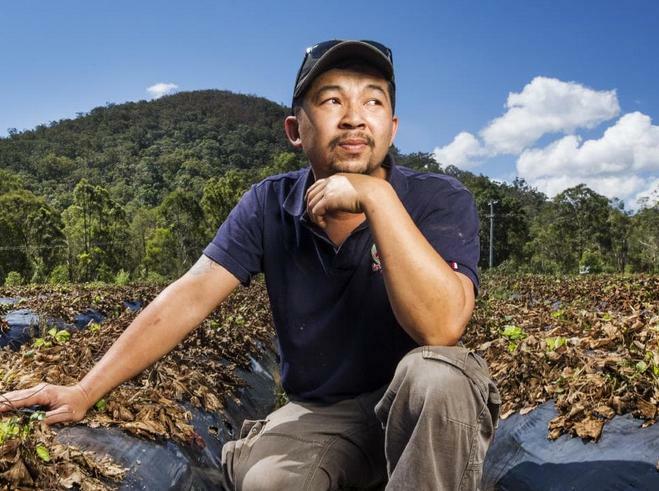 To compete, Australian horticulturalists what cheap third world casual labour at harvest time and are calling for some new Agricultural Visa for Third Worlders to pick and pack their produce for peanuts. Farms owned by foreigners, produce packed by foreigners. If you can’t beat ’em join ’em, eh? Pay peanuts, get monkeys. Rural Australians cop the gnats they deserve. Shipping container rent deducted from slave wages. Smile students or we tell Immigration. Free Trade with the Third World like Indonesia – well the logical cost control outcome is Third World. Canberra reckons Aussies just employ slave Third Worlders (and shun decent paid Aussies) in order to be globalist One World competitive with our free trade agreements. So by passing up local Australians and employing them properly on decent Australian wages, farmers are resorting to cheap Third World slave labour and housing them in shipping containers on a spare paddock. 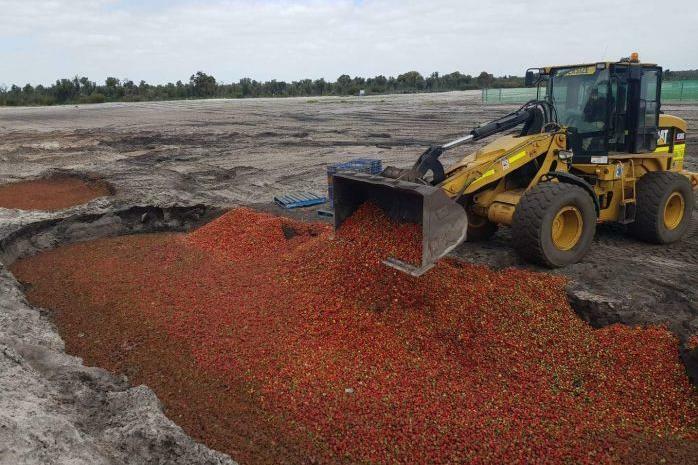 How many millions did this ethnic sabotage cost Queensland’s strawberry industry? False economy or what?